Following on from 2019’s successful March’s ‘Go West Young Man’ Convention & October’s “I’ve been To Hull & Back” Convention, we are delighted to be able to share with you 2019’s convention ticket prices and structure. 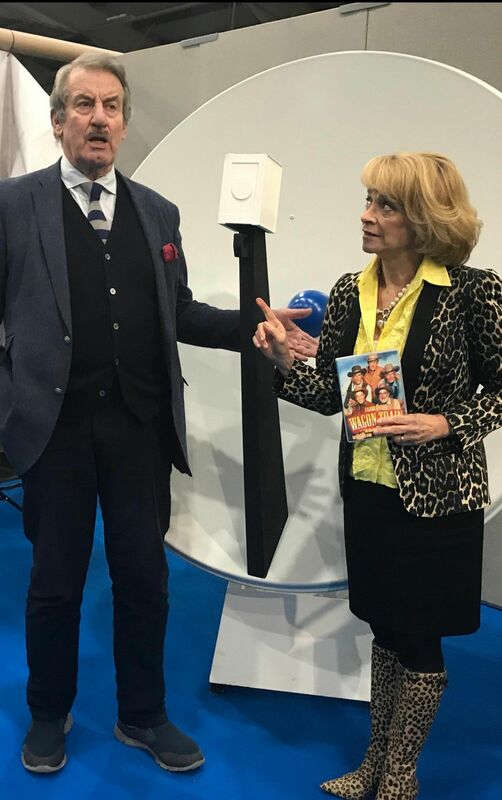 In March 2018 we saw the One Day event sell out, leaving the demand high for tickets. For October 2018, we built on the success of 2017’s and March 2018’s events. Our March Convention in Exeter sold out with approx. 280 fans in for the 1-day event, whilst for October 2018, we returned to our traditional 2-day Convention. A reminder that this show will be a ticket only event, no tickets will be available to purchase on the day at the venue. No admittance will be allowed without a valid entry ticket. This will be in the form of an E-Ticket. ‘Early Purchase’ General Admission Ticket – this will be priced at £68 inc a £3 booking fee. The earlier you buy, the closer to the actors you will be! In due course the tickets will revert to Full Price of £78 inc booking fee, so don’t delay, buy today! Tickets will be on sale on from Monday 11th March 2019 – and the ONLY place to get your tickets is via our Online Shop Below! We look forward to seeing all you lucky ticket holders in October. We have included a Q & A below to try and assist you with any questions you may have, however, if something is not covered in the below, please feel free to leave a comment here and one of the team will answer your question in due course. Q) Where is the October Convention being held? Q) What are the times of the Convention and the date? 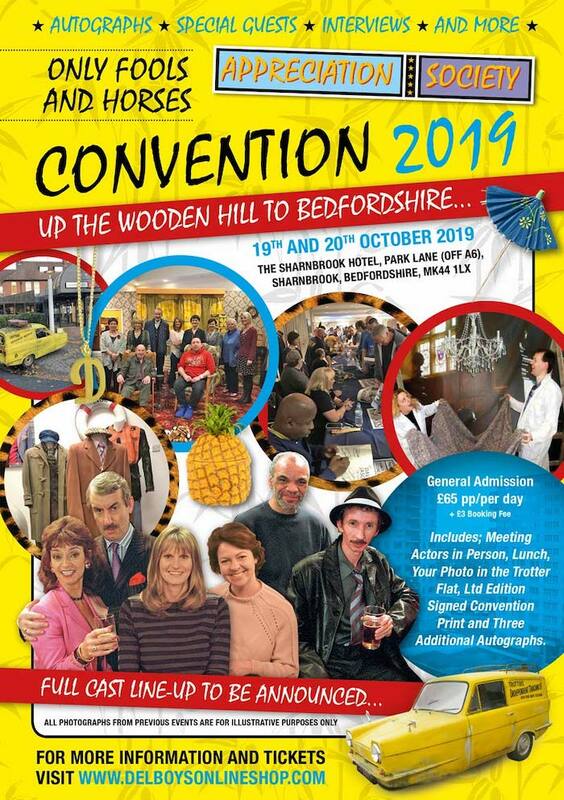 A) The Convention is held over the weekend of Saturday 19th and Sunday 20th October 2019. Registration will open for all General ticket holders at 08:45am. The Convention will end by 6pm each day – all ticket holders will meet the actors and undertake their photo opportunities (if purchased) before the close. Q) I notice the event this year is in a hotel, are there any discounts for room bookings on site? A) This is managed by the hotel directly; however we have agreed with the hotel that they will offer discount on room bookings for those staying at the hotel and attending the event. If you would like to take this offer up, this will need to be taken with the hotel directly, by calling 01234 783142. This must be done Monday to Friday between 7am and 11pm. Quote “ONLYFOOLS19” when booking to receive your Special Offer Price of £80 per night, per Superior Room or £70 per night, per Standard Room. These prices include Breakfast & VAT. NOTE – You will not be able to book online, you must call the hotel. Q) Where can I buy tickets for the Convention? Q) How much are tickets and what is included? A) Please take a look further up the page; we have listed the details of each ticket. Q) I haven’t been to a Convention for a long time, and I note the prices are higher than when I attended before, why is that? A) Prior to 2016, our Conventions were held in Sports Halls where we had around 800-1000 fans in during the course of the day. The average queue time was around 8 hours, and the actors were signing constantly for 12 hours so that all fans could be seen. Fans were also missing the other opportunities such as having their Photo in the Trotter Flat, or purchasing merchandise. Some fans who travelled on their own also wouldn’t want to leave the queue. With this in mind, in 2016 we drastically changed the format to allow a more informal setting and a more relaxed atmosphere. We have changed the type of venue and added more inclusions into the tickets. The price increases are reflected in this change; however, our feedback from the past 3 Conventions in this style has been extremely positive and excellent value for money. 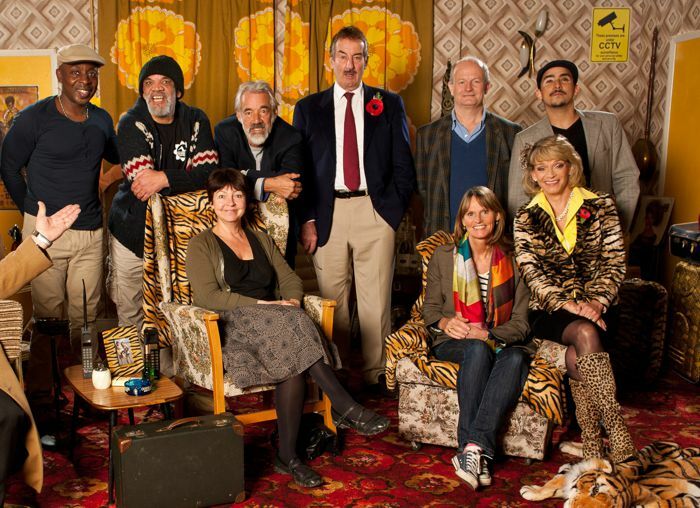 Q) I have purchased a General Ticket, but would really like a photo in the Trotter Flat with the Actors, is there any way I can get one? Q) If I buy a ticket but cannot make the event, can I get a refund or sell the ticket on? A) No. All of our tickets are non-refundable and non-transferable. Anyone found selling their ticket; the event organisers reserve the right to refuse admission to the Convention. Q) If I am late, will I still be entitled to the inclusions in my ticket? A) If you arrive after Registration has closed, you will still be admitted entry to the event. However, if you have purchased a Flat Photo with the actors and these have been completed, you will forfeit that inclusion. Due to time constraints, it is not possible to pause the event for your photo in the Flat due to lateness, so please arrive in plenty of time! Q) Once I have purchased my tickets, when will they be posted? A) For this Convention, tickets will not be posted out. Entry will only be valid by a PRINTED confirmation of your order – please bring your printed confirmation with you on the day! No entry will be permitted without valid confirmation! Q) I have some autographs included in my ticket, can I purchase more? A) Yes, of course! 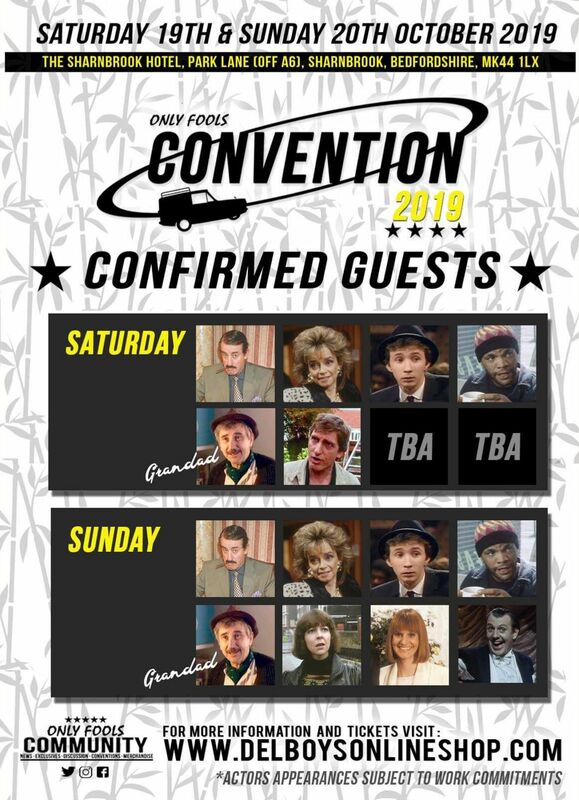 Autograph vouchers will be available to purchase at the Convention – each additional autograph will cost £5 per autograph required, and we offer a deal of buy 4, get 1 free – buy 8 get 2 free and so on…. Q) Can I pay by card at the Convention for any purchases? A) Yes, we will have selected stalls where card payments can be taken for your purchases. Q) Is there a dress code for the event? A) Whilst there is no strict dress code, we recommend appropriate attire for the event. Q) Can I have a ‘selfie’ with the actors in attendance and is there a charge? A) Selfies are left to the discretion of the actors, although most are very happy to pose for a photograph if asked politely. We do not charge for a ‘selfie’! Q) Are there any photographs taken of the event? Q) Will there be any photographs available to purchase on the day, or do I have to bring my own? A) You can bring your own; however, we will have a large selection of photographs that you will be able to purchase on the day. A) There is plenty of parking at the venue, and on-site parking will be FREE for the duration of the event. Q) Someone else has ordered the tickets, but they are for me, is there anything I can do? A) Yes, of course. Please email [email protected] with this information so we can ensure our Registration Database is updated and allows your smooth entry into the event. Q) In 2018, I purchased an Additional Autograph Voucher with autographs on but did not use them all. Can I use this for this show? A) Unfortunately these will not be accepted, and any additional autographs required will require purchasing on the day from the selected stalls. A) Lunch will be served around 1 pm. There will be a cash bar at the venue for you to purchase soft drinks & snacks (there will be no alcohol served at the show). 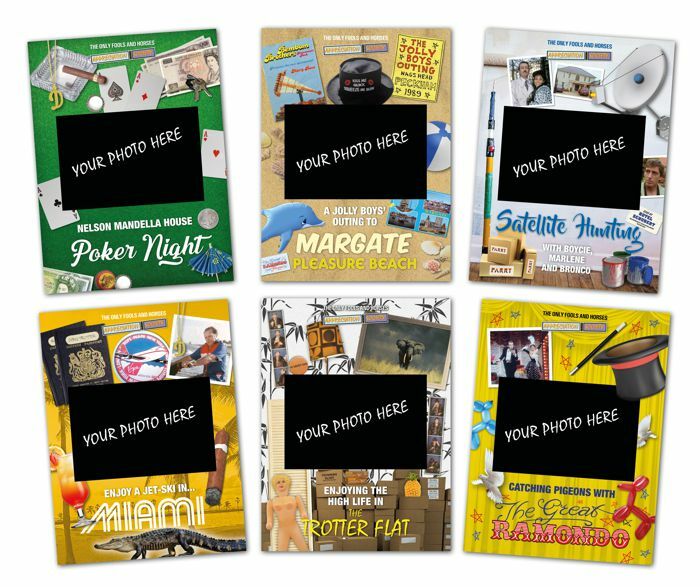 Photo Upgrades will be available to purchase – why not try your hand at Poker and see if you can beat Boycie?